ten best films of 1997.
features Klaus Nomi interviews, videos and TV appearances, European and US concert footage, interviews with Nomi friends, band members and surprise guests, background on the NYC and New Wave Vaudeville scenes, rare photos and memorabilia, including the life sized Klaus Nomi mechanical doll. Klaus Nomi dared to be great. He dared to combine opera, 1930's German Cabaret, 1960's American Pop and 21st century synthesizers. He also dared to present the visual image of a high fashion, heavily made-up futuristic robot/alien. The world became aware of Klaus Nomi on December 15, 1979, when he backed David Bowie on NBC-TV's Saturday Night Live. Tragically, Klaus Nomi died of AIDS in August 1983. During his lifetime, he issued two albums, Klaus Nomi and Simple Man. According to band member and songwriter, Kristian Hoffman, "Klaus was a face-elfin and painted as a Kabuki robot. He was a style--a medieval interpretation of the 21st century via Berlin 1929. He was a voice, almost inhuman in range, from operatic soprano to Prussian general. He was a master performer--a master of the theatrical gesture. Above all, he was a visionary. He said the future is based on the needs of the artist, deciding how to live and living that way every minute. Klaus, the man from the future, lived that way in the present, and held out his hand saying, 'Come with me. You can do it too.' His vision was naive, quaint, almost foolish, but forceful in its purity and innocence. Even at his most wildly ridiculous ('Lightnin' Strikes') or quaveringly sublime (Purcell's 'Death'), there was an acknowledgment of impending apocalypse that lent it conviction. For Klaus, apocalypse was a metaphor for purification, and as the oddball optimist surrounded by cynical detachment and resignation, he dared to believe in a better world." Nomi Speaks: "I approach everything as an absolute outsider. It's the only way I can break so many rules. Remember, my background is totally strange -- German classical opera... It was just as shocking for me to sing opera in a falsetto soprano in Germany. It was another rule I was breaking. You just didn't do that. And I am helped by the fact that pop and rock, which you would think have no rules at all, are really just as conservative as classical music.' "Sometimes I sing very honestly, really believing the words... The aria, of course, I always try to make as moving as possible. But normally, I do kind of transcend the song and give it a different meaning. There are moments in my show which are very moving as well as amusing... I take a familiar experience and put it in an alien environment." "I always loved rock 'n' roll, actually. For me, when I was twelve, the biggest name in rock 'n' roll was Elvis Presley. I bought an EP, 'King Creole.' I hid it in the basement, but my Mother found it. She went to the record store where I bought it and exchanged it for Maria Callas operatic arias. Well, I was agreeable to that too. Every time I bought a rock 'n' roll record, I bought a classical record at the same time. I like each as well as the other." "I'd like to thank everyone for supporting me and making me believe in my work. Thank you for giving me the confidence to continue crossing bridges." Klaus Nomi was born Klaus Sperber in the Bavarian Alps in 1944. He grew up in West Germany and West Berlin. He developed a love of opera and stage make-up while working as a child extra at a German Opera house. As a teenager, he attended the Berlin Music School. He later worked [as an usher] at the Berlin (Deutsche) Opera. His first vocal performance in public was singing Mozart's "Bastien, Bastien" in Berne, Switzerland. Klaus moved to New York City in 1972 or 1973. He became a Cordon Bleu pastry chef and freelance baker, working with Katy Kattleman (AKA Katy K). At one point, Klaus had a cooking spot on Glenn O'Brien's NYC cable show TV Party. In 1976, Klaus made contact with vocal coach Ira Siff (AKA Vera Galupe-Borszch) later of La Gran Scena Opera Company. In 1977, Klaus played a role in Charles Ludlum's Ridiculous Theatrical Company Wagner-offshoot production, Der Ring Gott Farblonjef. 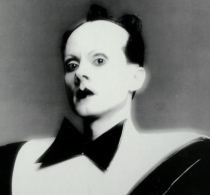 The "Klaus Nomi" image/persona was developed in 1978 with dancer Boy Adrian. The name "Nomi" was an anagram of the title of the sci-fi magazine OMNI. The Nomi character was introduced at NYC's Irving Plaza Club during a four night New Wave Vaudeville series. Appearances at the Mudd Club, Max's Kansas City, Xenon and Hurrah followed. Klaus Nomi appeared in Anders Grafstrom's influential underground film The Long Island Four. Some footage also was used in Michael O'Donaghue's Mr. Mike's Mondo Video. David Bowie was favorably impressed by The Long Island Four. Swedish film maker Anders Grafstrom was killed in an auto accident. Nomi's first LP was dedicated to Grafstrom. Klaus Nomi and Joey Arias backed David Bowie on Saturday Night Live, December 15, 1979. Three Bowie songs were performed: "The Man Who Sold The World," "TVC15" and "Boys Keep Swinging." 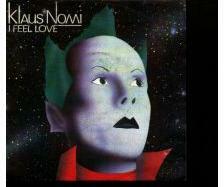 Through then-RCA artist Bowie's connections, the Klaus Nomi LP appeared on French RCA in late 1981. The absolutely essential album opened with perhaps Nomi's greatest composition, the mission statement "Keys Of Life" ("Exploring new dimensions / New lifestyle my intention"). 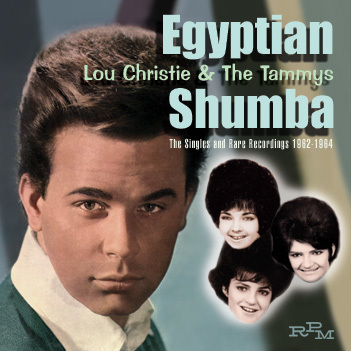 As the ominous, synth-drenched track faded out, the scene abruptly shifted to Lou Christie's worldwide #1 single "Lightnin' Strikes" (1965). 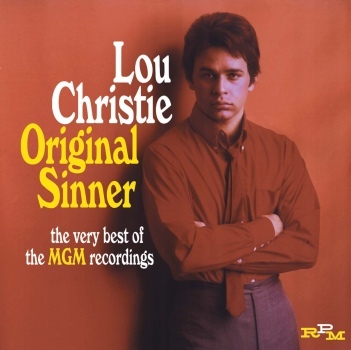 After receiving a copy of Nomi's "Lightnin' Strikes" 45 (1982), Lou Christie attended a mind-blowing (yellow gown/umbrella-littered stage set) Nomi show in NYC. Nomi's "Lightnin' Strikes" was much more ambitious (and fun) than previous attempts by Del Shannon, Jan & Dean, Mike & Dean, SFX, Blotto, Carter Cornelius, Cafe Society, Salazar, and The Fan Club. Cut #3 on Klaus Nomi was a ghostly, scary, undanceable take on "The Twist" (1960), followed by Kristian Hoffman's majestic and defiant "Nomi Song" ("Will the human race / With their collective frown / Will they know me? / Nomi? / Know me? / No!"). Side One closed with a razor sharp "metal" reinterpretation of Lesley Gore's "You Don't Own Me" (1963), complete with wailing female back-up singers and customized lyrics ("You don't Nomi / I'm not just one of your little toys"). Side Two of the Klaus Nomi LP opened with Henry Purcell's "The Cold Song," from the semi-opera King Arthur, Or The British Worthy, first performed in 1691. 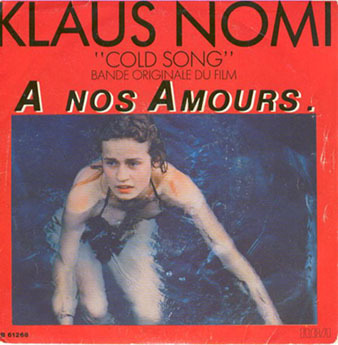 Nomi's "Cold Song" was used in Maurice Pialat's October 1983 film A Nos Amours. Corresponding film still picture sleeve singles were released in Japan and France. The Klaus Nomi LP concluded with "Wasting My Time," the excellent "Total Eclipse," Man Parrish's "Nomi Chant" and Camille Saint-Saens' "Samson And Delilah" (1877), recorded live September 20, 1980 at Merlyn's in Madison, Wisconsin. 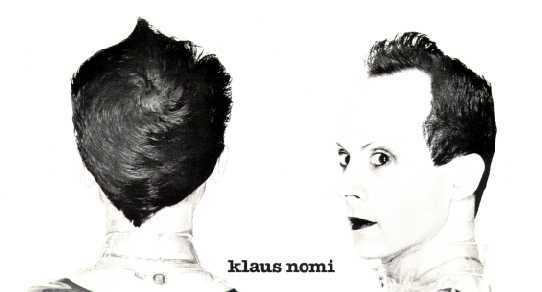 Predictably, the British press failed to appreciate the dynamic greatness of the Klaus Nomi LP. Nomi's second LP, Simple Man, was released in November 1982. Simple Man followed the formula and sequence of Klaus Nomi: John Dowland's "If My Complaints Could Passion Move" (1597), Kristian Hoffman's "After The Fall," Doris Troy-Payne's 1963 "Just One Look" and finally on LP, Nomi's classic take on Marlene Dietrich, "Falling In Love Again" from the 1930 film The Blue Angel. Simple Man also featured "ICUROK" (= 'I See You Are OK') later on Canadian 12" single RCA KD-10005, "Rubberband Laser," Henry Purcell's "Wayward Sisters" from the opera Dido And Aeneas (1689), "Ding Dong (The Witch Is Dead)" (3:03) from The Wizard Of Oz, "Three Wishes," "Simple Man" and the chilling, unforgettable LP closer, Purcell's "Death" ("Remember me / Remember me"). By January 1983, Klaus Nomi was seriously ill. Several benefits were staged to help with his medical expenses. But Klaus Nomi died, either August 8, 1983 at the Sloan Kettering Hospital Center (Klaus Nomi Fan Club Newsletter Spring 1984) or August 6, 1983 at the NYU Medical Center (Billboard August 27, 1983). After his death, the Klaus Nomi Encore! LP appeared, including the previously unreleased "Fanfare," Elvis Presley's "Can't Help Falling In Love" and Robert Schumann's "Der Nussbaum" (1840). 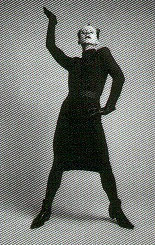 Klaus Nomi's music has been used in dance pieces by Lisa K. Lock, Anat Assulin, Saarinen, Pimsler and Myron Johnson. Artist Pat Keck's "Memorial To Klaus Nomi" was in the '9 Artists/9 Visions'exhibit at Boston's DeCordova Museum (Summer 1996). In 1996, BMG Ariola issued "Cold Genius" performed by George Kochbek (a short opera about Klaus' life). Chicago's The Quaker Goes Deaf record store ran a Christmas 1996 ad in Lumpen depicting "Santa Klaus" Nomi. As the Klaus Nomi Fan Club's Pamela Rosenthal wrote in a letter dated August 25, 1986, "It never ceases to amaze me the places references to Klaus turn up. It is always good to know that Klaus is not dead." Indeed. "He admits that he's a kind of extremist -- an extremist of style." The song heard over the title sequence of the vampire movie Innocent Blood is an old Jackie Wilson song called "Night" : a pop version (with very lush strings no less) of the aria from Samson and Delilah that Klaus Nomi sang. "I Feel Love" / ? "Falling In Love Again," "Lightnin' Strikes," "Nomi Song" & "Simple Man." w/ Klaus Nomi: "Ding Dong"
Nomi may have visited the original location of Club 950 (Lucky Number) on September 16, 1980 when he visited nearby Wax Trax! Records. Roberto St. Orm 1 Page Left!